MANILA – Embattled Albuera, Leyte Mayor Rolando Espinosa Sr. reported for work Tuesday after he was linked by no less than President Rodrigo Duterte to the illegal drug trade. Espinosa was emotional when he went back to his office accompanied by his family. In a brief interview with reporters, Espinosa also denied that the P88 million ''shabu'' haul earlier found in his house was his. Duterte named the mayor as a drug coddler on August 1 and issued an ultimatum, even warning of killing the mayor if he resisted arrest. 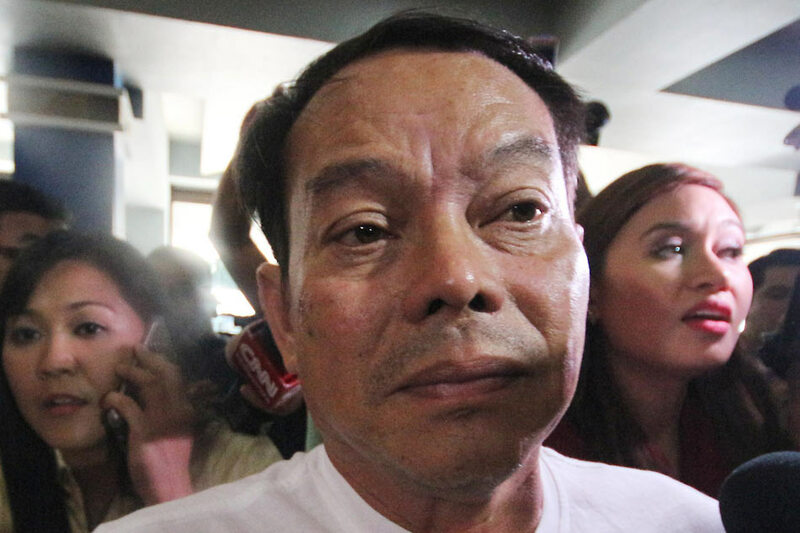 Espinosa surrendered to the Philippine National Police (PNP) the following day and later admitted that his son, Ronald "Kerwin" Espinosa, is a top drug trafficker in Visayas. Kerwin is still in hiding and has yet to respond to police calls to surrender. The PNP claims the Espinosas were involved in illegal drug trade and illegal possession of firearms.